Diamond Select Toys has released a first look at the X-Men Origins Wolverine Action Figure through Art Asylum. 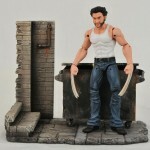 Here is the approved paint for the movie Wolverine and his backalley dumpster base. Are you still puzzled by the base? OK, look at it this way – What type of business has a dumpster like that? Perhaps…a restaurant? Maybe, say… a Cajun restaurant? OK, any more of a hint than that and I’m getting fired, so this post ends here. Pic is attached, read the full story to check it out! 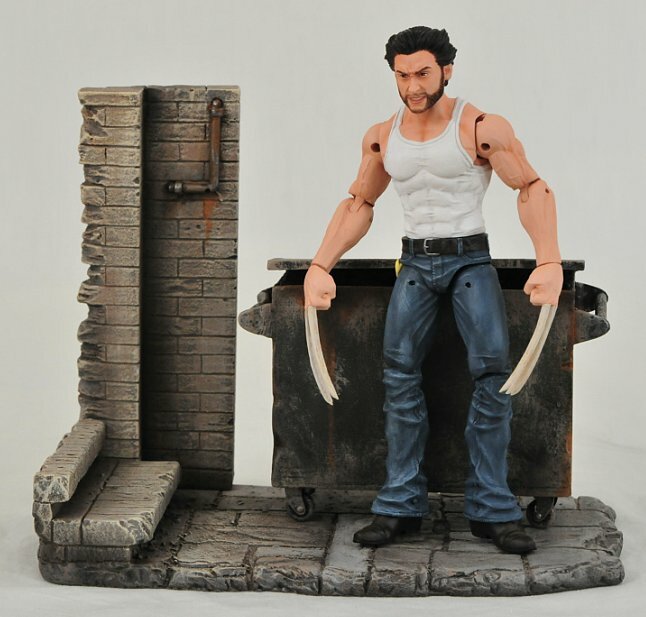 Check it out for first look pics of the Marvel Select X-Men Origins Wolverine Action Figure. That looks really nice. The likeness is good as well. This is a great interpertation and can't wait to see if they do a weapon x from the film. Don't get me wrong I love the other characters from the movie but wolvie is my fav, obviously. Keep pumping out those great sculpts MS and I'll keep pumping out my hard earned money!